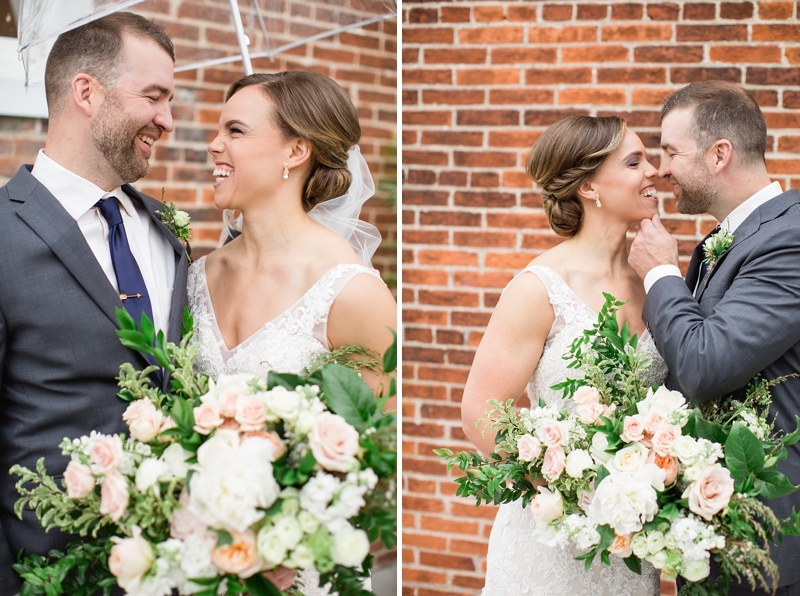 Amanda and John soaked up every moment of their wedding day, despite the crazy variety of weather. After pouring rain and gusty wind, a stunning rainbow appeared! 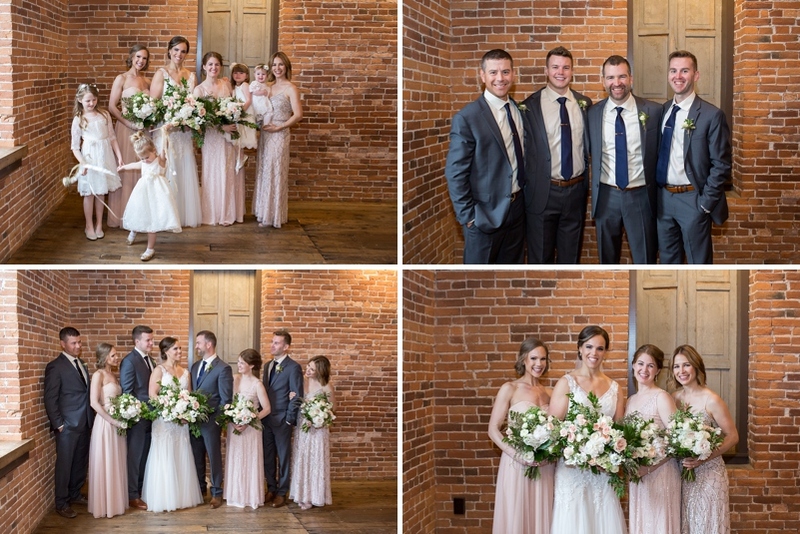 Absolutely everything about this Booking House wedding was dreamy. And the vendor team could not have been any sweeter (or more talented!! ): Taryn Blake Events, BeLovely (florals), Bristle & Prim, The Scarlett Runner, and In White Bridal. I'm still swooning over her dress, wow! I adore when couples exchange handwritten letters and gifts. John gave her a stunning necklace, and she gave him a classy watch. Thanks to Kelsey Renee Photography for second-shooting and taking these great shots of John as he opened Amanda's gift to him. Despite the rain and intense wind, they were rockstars. You would never know we were braving the elements for these portraits! Can we pause and talk about BeLovely's floral designs? I'm obsessed. And wait until you see the reception decor! The rain ceased, and the sun peeked out for 10 minutes so we could grab these portraits! Oh, you two. Absolutely adorable. The reception decor was unbelievably stunning. Such tender emotion during the dances! Amanda's grandfather is so dapper! There's nothing quite like a live band at your wedding reception. Bachelor Boys Band played timeless favorites! 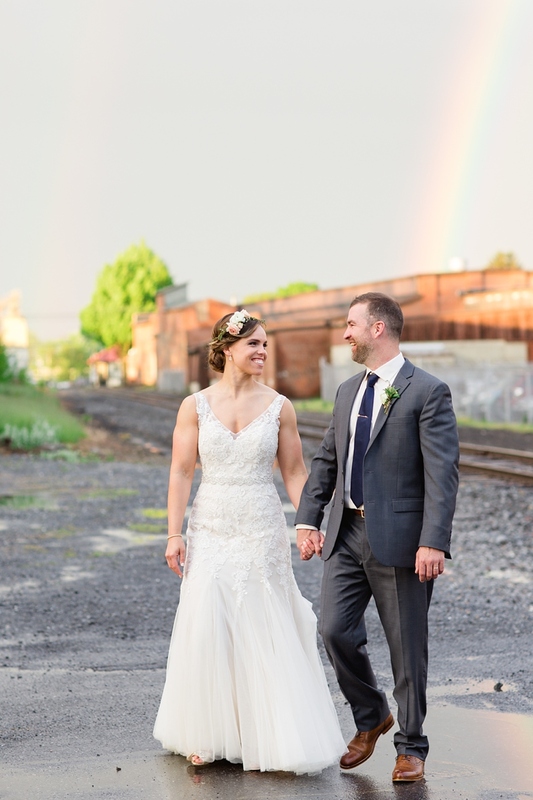 I've been a wedding photographer since 2007, and this was the first time I've had the chance to photograph a bride and groom in front of a rainbow. Perfect ending to one heck of a wedding.